Native advertising has been on every magazine executive’s radar for at least the past five years and for very good reason. Native Advertising is increasingly making up larger portions of ad revenue for publishers around the world. For the third year in a row, we’ve conducted this survey on the trends taking place in native advertising—this year amongst 150 magazine executives from 41 countries. 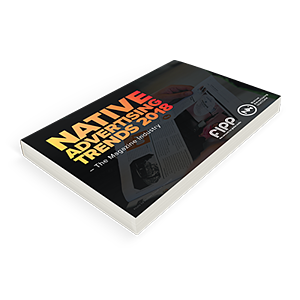 Native Advertising Trends 2018 - The Magazine Industry was produced by Native Advertising Institute in collaboration with FIPP - the network for global media.